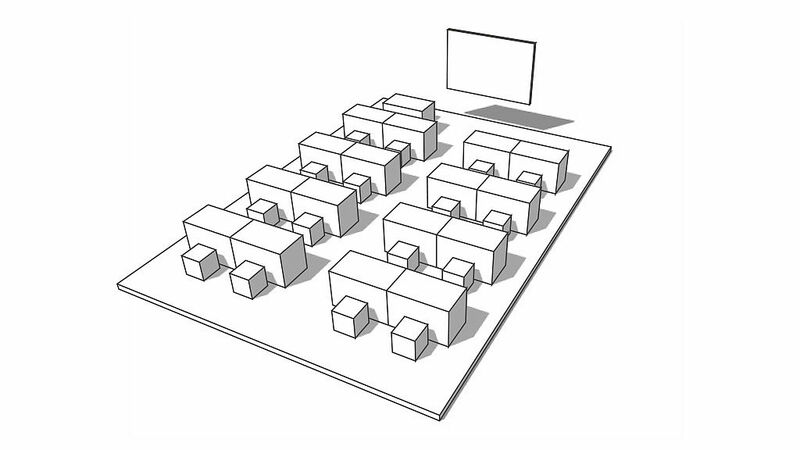 Use existing spaces and areas efficiently and transform them into inter-departmental multifunctional areas. 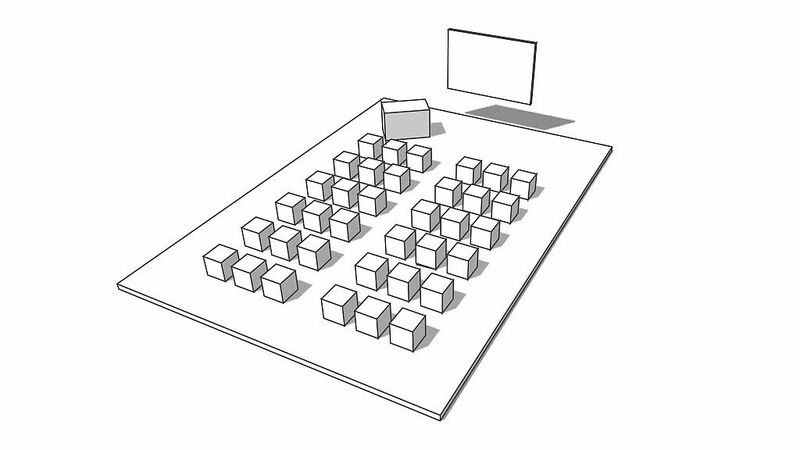 The unique combination of modular furniture, interactive presentation technology and a flexible media supply opens up new perspectives. What is still a conference or training room today will become the electrical engineering laboratory or Maker Space tomorrow. QUWIS allows you to be creative and flexible – and fast! QUWIS can be adapted to suit all of your individual requirements. Whether that is meetings, training draftsmanship or an impromptu ideas session. QUWIS is the ultimate quick-change-artist! Maximise potential. The innovative ceiling media-supply system allows for intelligent networking between workstations. Tables can be repositioned at will whilst still having quick and easy access to electricity and the internet. Practical teaching for apprentices. 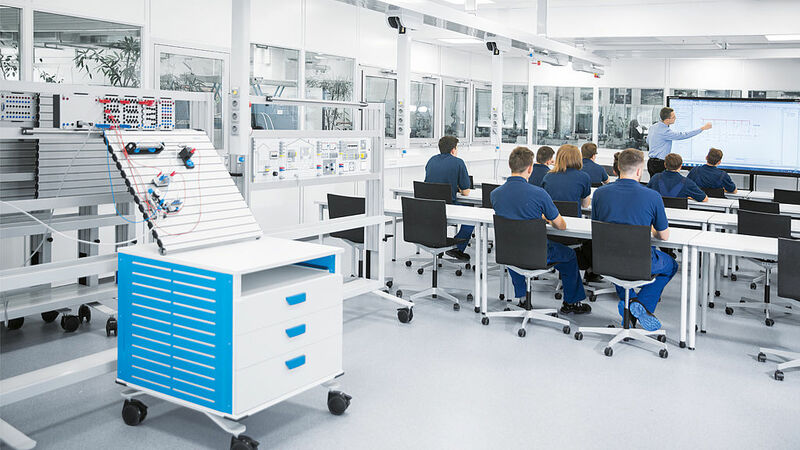 Quickly distribute the mechatronics kits to the workspaces, connect power and compressed air. You're off! 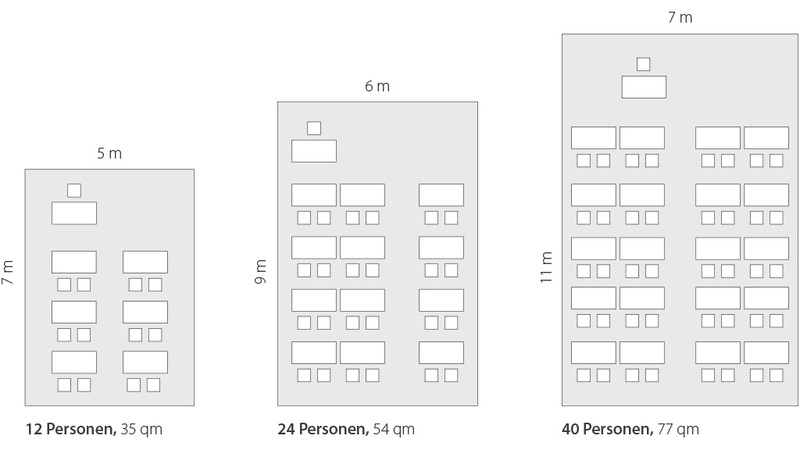 Flexibly arrange the table groups together and watch your teams start outlining new approaches in a matter of minutes. QUWIS saves space. 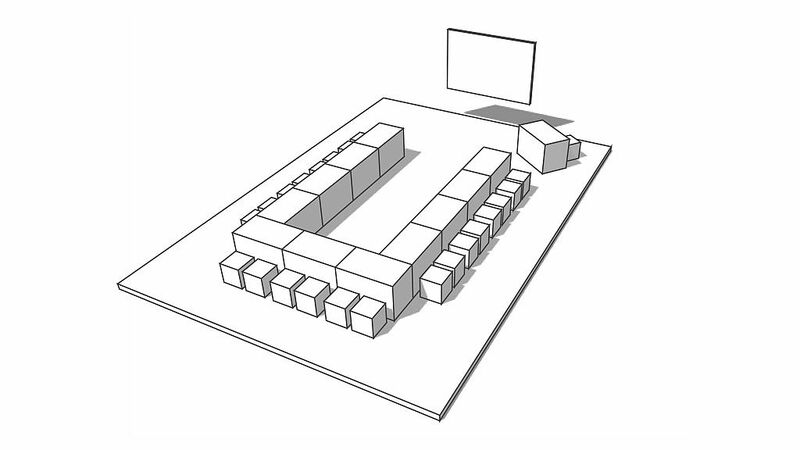 The modular furniture in conjunction with an intelligent layout ensures that you make optimum use of valuable space. QUWIS reduces costs. 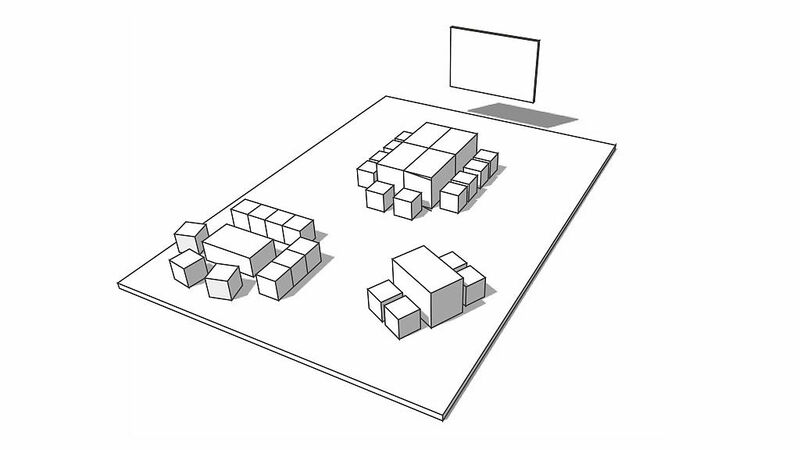 The flexible media supply makes way for flexible use of one space and thus reduces the need for dedicated single-purpose rooms. 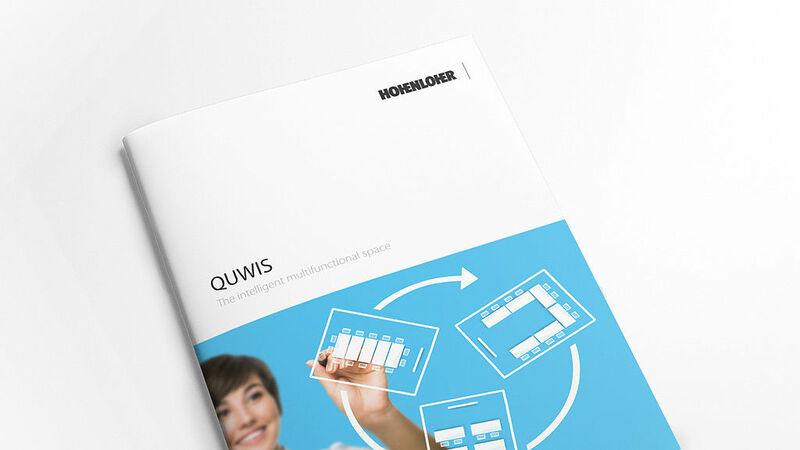 See how easy it is to adapt QUWIS® to your needs. In no time at all chairs and tables have been converted and the new work areas networked with multimedia. Experience a flexibility that fully unfolds your innovative power. „QUWIS® uses the whole company - from apprentices to management. We are particularly impressed by the flexible media supply. If necessary, we fold down the power lifts and all seats are supplied with electricity, media and compressed air. It could not be simpler!" With QUWIS® we have the ideal space for our training measures. The modular furniture allows flexible table arrangements - with the media system we have internet and electricity available at any time. 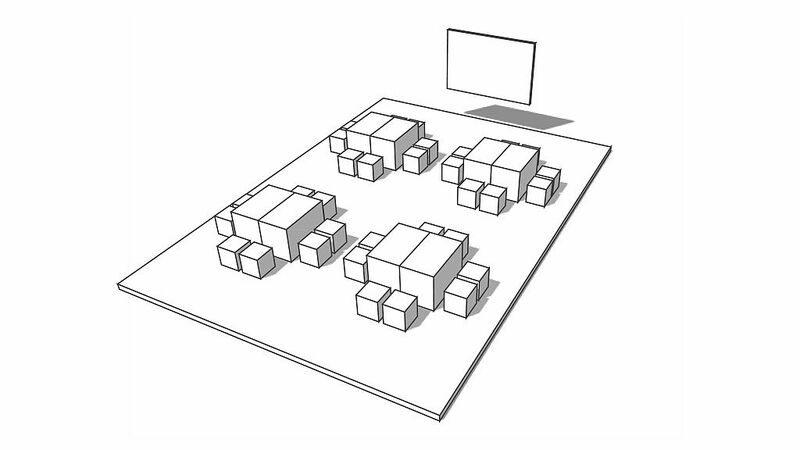 Would you like to use the potential of a multispace? More information about our room concept QUWIS® you'll find in our current brochure. 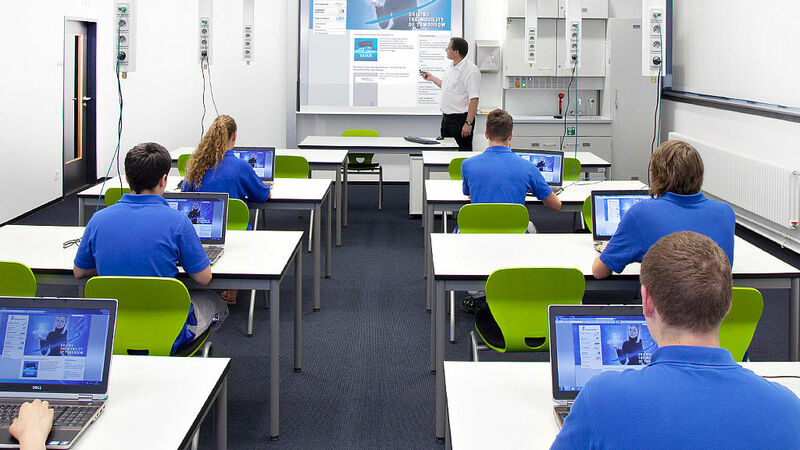 We provide innovative, complete solutions for educational institutions around the world from a single source. 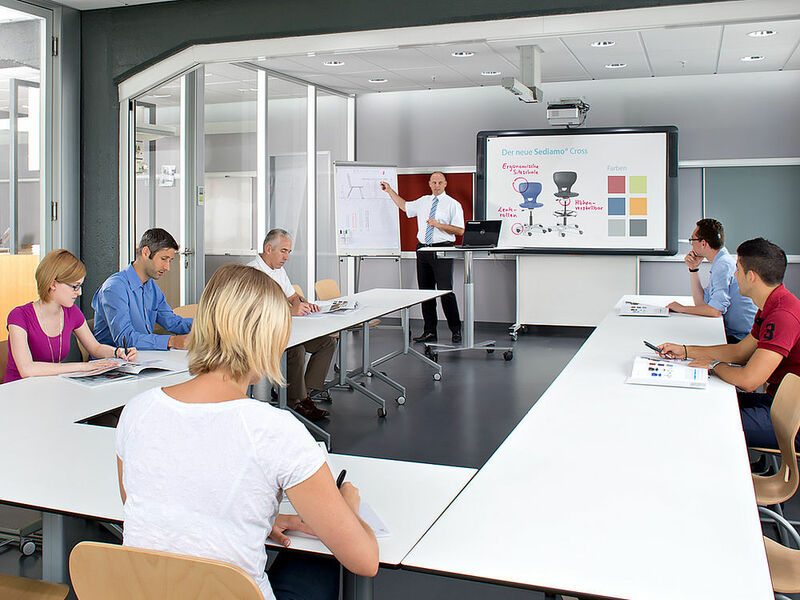 Our product systems stand for high quality, ergonomic flexibility and promote pioneering didactics.